Chad Pastor brings a diverse background in both biology and business to the Bioeconomy Institute’s talented mix of scientists, engineers, and business team members. Chad earned his bachelor’s degree in biology from Kalamazoo College and then enrolled at Michigan State University to pursue a master’s degree in entomology. His first experience with biotechnology was within the field of integrated pest management, with a focus on innovative pest control methods, such as pheromone-based mating disruption of tree fruit moths and other semio-chemical attractants. 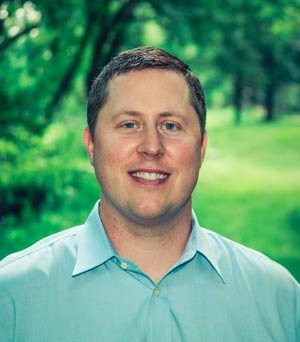 After graduating from Michigan State, he went into business-related roles and became an award winning and highly skilled business development specialist, with a keen eye for process improvement and innovation. During this 15-year stretch, he has worked with many Fortune companies and industry start-ups to identify key business issues and opportunities, collaborating with them to make their visions a reality. His experience includes the areas of sales, marketing, business management consulting, sustainable agriculture and biology. Chad was compelled to return to his biotech roots, after learning about MSUBI’s focus on accelerating fermentation technologies and specialty chemical processes to commercialization—which he is extremely passion about—and he is excited to be a part of MSU BI’s talented team. His mission is to assist MSUBI and its clients in accelerating sustainable, technologies from concept to a commercial reality.